A short introduction in English. Struycken Advocaten was established in Amsterdam in 2009 by H.F.M. Struycken. Our highly qualified and socially committed lawyers offer legal aid & advice to private individuals, small firms and self-employed professionals. We offer services in many fields of expertise, specialising in International Family Law, Criminal Law, Immigration Law, Tort Law and Damages, Labour Law, Contract Law, Social Security Law, Administrative Law and Tenancy Law. Many situations involve legal issues rooted in different fields of law. Our lawyers enjoy the daily benefit of each other’s professional company. For you this means that you don’t have to explain yourself more than once to get the best possible advice. And if you have separate issues that need different specialized lawyers you only need to come to one place. Initial consultation is offered free of charge to all our clients. During or after the first appointment the rates and possible legal fees concerned will be determined by the lawyer and his client or clients. Struycken Advocaten also offers its services to clients with low (or no) income that qualify for legal aid. 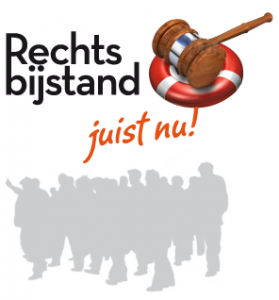 The Dutch system in some cases includes a client contribution to the legal aid provided. All our lawyers speak English, some lawyers are also fluent in additional languages: David Peters is a native English speaker also fluent in the Spanish language and a little bit of Basque. Mary Issa serves international clients in immigration matters. She is fluent in English, Arabic and Aramaic. Huib Struycken speaks fluent French. If we don’t speak your language in most cases we can provide for an interpreter to be present. Of course you are welcome to bring a family member or friend to interpret for you. A limited overview of subjects per field of expertise is listed below. Please contact us if your subject is not listed. We will connect you with the right lawyer of our team. International Family Law: marriage and divorce, alimony, custodial issues, youth protection measures, child abduction, change of birth name of birth name.